As the auto industry gathers for the annual Detroit Auto Show, the outlook is for strong sales gains ahead, both domestically and globally. In 2010, U.S. sales rose 11%, and they're expected to be up at least that much in 2011. Gains could be even bigger overseas, with China, now the world's largest market for auto sales, leading the way. Most forecasts are for sales increases to continue until at least 2015, even if overall economic growth remains modest. "We are in a growth industry," said Ellen Hughes-Cromwick, chief economist of Ford Motor, in a speech to the Society of Automotive Analysts Sunday night. The profit outlook, shaped by the painful restructuring of recent years, is even better, with several experts saying this is the best competitive position for U.S. automakers in decades. A few years ago, Detroit automakers spent an extra several thousand dollars per vehicle on production compared to import brands. But that disadvantage has largely vanished, mostly due to the closing of 19 auto plants in recent years, and new labor contracts that trimmed costs. "Certainly in terms of getting their footprint of production to match the market, they're probably in the best position we've seen in 20 or 30 years," said William Strauss, senior economist for the Federal Reserve Bank of Chicago. "That bodes well in terms of profitability." In the sales boom years, the Big Three took losses on many of their car models due to weak demand. But experts say that new cost structures and more attractive offerings in car models position them to weather changes in the market. Rebecca Lindland, director of strategic review for IHS Automotive, said even conservative estimates of sales growth to 15 million vehicles a year in 2015, should be enough to drive significantly higher profits. "It's been decades since they made money on something other than trucks and SUV's," she said. "But they're structured well now." 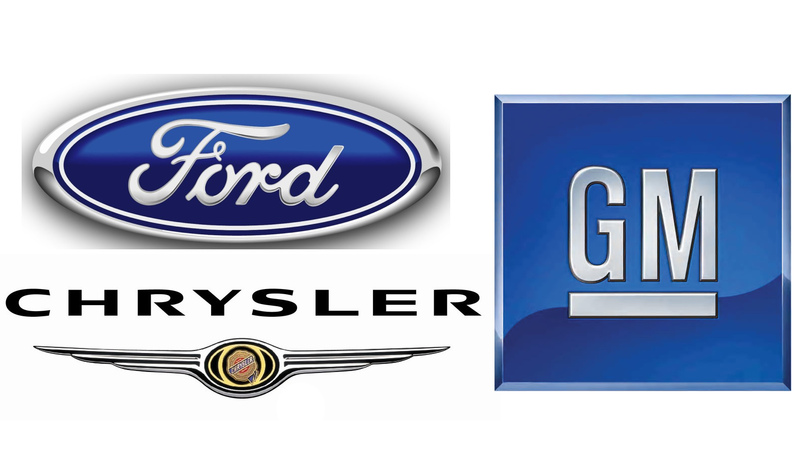 General Motors (GM) and Ford Motor (F, Fortune 500) have already reported their best net profits in more than a decade, while Chrysler Group is reporting operating profits. And all three gained U.S. market share in 2010, and are well positioned to keep making inroads in the years ahead. 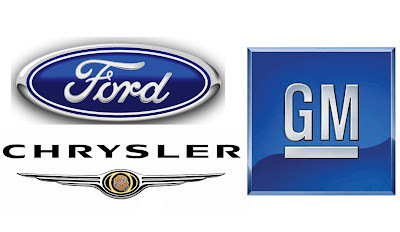 More than half of the 200 senior auto industry executives surveyed by accounting firm KPMG expect GM and Ford to gain global market share in the next five years, and most believe Chrysler will at least hold onto its market share, if not make gains. That's a radical departure from a year ago, when the majority were forecasting continued declines for GM and Chrysler and expected Ford to hold pat. "It is quite a remarkable change in opinion," said Gary Silberg, national auto industry leader for KPMG., who said he was particularly surprised by the change of opinion among overseas auto executives. "It's not easy to convince outsiders to take a positive view of the U.S. industry." And U.S. auto plants are finally hiring again. Overall factory employment at U.S. plants was up 37,000 at the end of the year, or about 6%. But most of the 300,000 auto plant jobs lost in the industry since 2007 are not likely to be recouped for the foreseeable future, even as sales rebound. While most experts agree that the outlook is vastly better than it was two years ago, when the very survival of the U.S. industry was in question, not all are convinced that Detroit has completely turned the corner. Michelle Krebs, senior analyst with Edmunds.com, said the industry still has to prove it won't fall back into its old habit of overproducing vehicles, only to have to cut prices and raise incentives to move the cars. While Detroit made many tough decisions to get to this better outlook, some of it was simply luck, Krebs said. "It didn't hurt [the U.S. automakers] to have Toyota (TM) recall a lot of vehicles," she said. Toyota's recall woes in 2010 resulted in it being the only major automaker to suffer a U.S. sales decline. But other experts are convinced that Detroit has learned from past mistakes, and that strong profits should continue for the foreseeable future. "The age of going blindly after sales, no matter the cost, is over," said Jesse Toprak of TrueCar. "We are now seeing a new emphasis on profitability."